LISTEN to today's conversation with Brian H. Peterson! 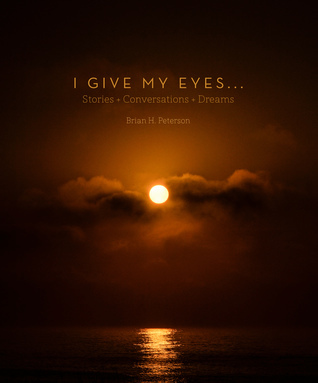 Brian H. Peterson has more than forty years’ experience as a curator, critic, visual artist, musician, and arts administrator. His photographs are in the collections of the Philadelphia Museum of Art, the Amon Carter Museum, the Virginia Museum of Fine Arts, the Denver Art Museum, among others. As the Gerry and Marguerite Lenfest Chief Curator at the Michener Art Museum (1990–2013), he managed the exhibition program, curated historic and contemporary exhibitions, and was the editor and principal author of the landmark publication Pennsylvania Impressionism (2002). Angeles Times, the Philadelphia Inquirer, American Arts Quarterly, and the Photo Review. In retirement he has taken up videography while continuing his work as a writer and photographer. His 1981 song cycle “Moon Songs,” based on the poetry of E. E. Cummings, was featured on the CD Modern American Art Song (2015) with mezzo-soprano Sharon Mabry. The book is part art book—filled with Brian's gorgeous photographs—and part the meditative reflection of a lifetime author and photographer trying to come to terms with his Parkinson's disease diagnosis, making it a perfect fit for Parkinson's Awareness Month in April.